SHENZHEN, China, Nov. 26, 2018 (SEND2PRESS NEWSWIRE) — Wondershare has once again provided an update of their Recoverit data recovery program. This product is regarded as a powerful and effective SSD data recovery program with advanced algorithms that helps recover deleted files from SSD, and even recover data from a dead SSD. It is not an uncommon thing to lose files and data on an SSD as it might be due to an SSD failure or a faulty SSD. Ability to recover mistakenly deleted files from a hard drive irrespective of when they were deleted. It can pull SSD Recovery from files removed from the recycle bin of hard drives. Files deleted or corrupted due to a virus or malware attack can be easily recovered. Recovery of lost data as a result of a missing or lost partition of an SSD hard drive. Recoverit can perform a recovery on files lost due to compulsory or mistakenly formatted disk. If a system crash results in data loss, Recoverit can recover it too. Data recovery operation can be performed on any external storage device. Lost or deleted files of any file type can be recovered including audios, photos, videos, emails, documents and so on. SSD drive data recovery is quite different and difficult as opposed to recovery from a system hard disk. This is because the conventional hard disk does not immediately delete a file but only removes its index until it is overwritten. In an SSD drive where contents are removed immediately, they are deleted. With Recoverit, SSD drive data recovery can be can be realized with ease. Recoverit is compatible with all SSD drive formats including Toshiba external hard drive or even Mac hard drive. Some people believe Toshiba laptop recovery or Mac hard disk recovery is quite difficult and it requires different skill sets or special program and technical know-how to execute. But with Recoverit, even Toshiba Windows 7 recovery and Mac hard drive recovery is just a piece of cake. Simply launch the software after connecting your Toshiba external hard drive and click on the recovery method that best describes your lost data. 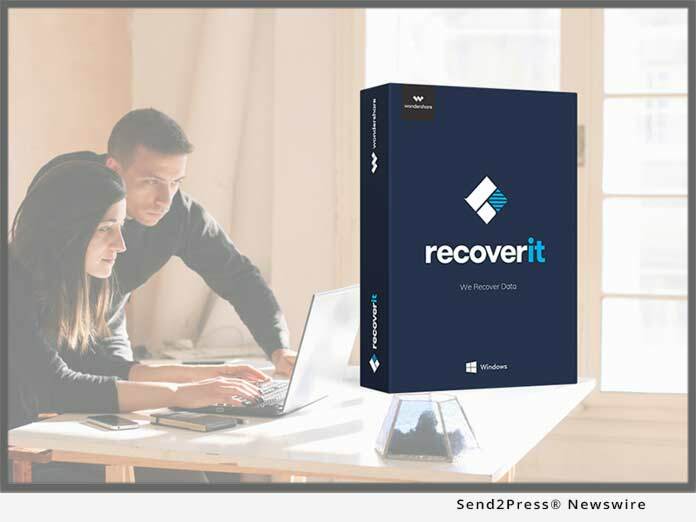 Recoverit is available for download and installation on both Windows Operating Systems and Mac OS. Head to the official page of the software and select your operating system and click on the download button. The interface and process of performing a Mac hard drive recovery are pretty much the same across all platforms. In a few easy steps, you can also recover files from Mac hard drive. If the normal scan is unable to recover all your files, a deep scan recovery method provides a higher recovery success rate, although this might take longer time. The company provides users with a free trial download version before they opt to eventually buy the product. Recoverit offers diverse pricing options to suit different users. The pro version for Mac and Windows offers a 1-month subscription for 1 PC or Mac at $75.95. Its 1-year license for 1 PC is at $79.95, $199.88 for 2-5 Personal computers and $359.78 for 6-10 Personal computers or Mac. A lifetime license is also available at $89.95. For a technical brand that has been providing data recovery services for both mobile devices and personal computers since 2003, it is safe to say that their reputation precedes them. Over the past few years, Wondershare has gathered over 5 million users of their products in more than 150 countries across the globe including in cities like Tokyo, Vancouver, and Shenzhen. The company put themselves on the map for being the first company to produce a data recovery solution for iOS devices. They have since lived up to the expectations by creating innovatively advanced and user-friendly products. Recoverit is one of their latest works which has done served users and hence received positive reviews for its astounding success rate and ease of use.